Most of you told me many times that "yellow" is my color! Well yes, I love yellow very much :)Here today is one example of how much I like to embrace this bright color in a retro inspired outfit. I hope you like it and I want to thank you all for your wonderful comments and remarks. I hear you and I appreciate it a lot! very beautiful! I’m in love with the pants! 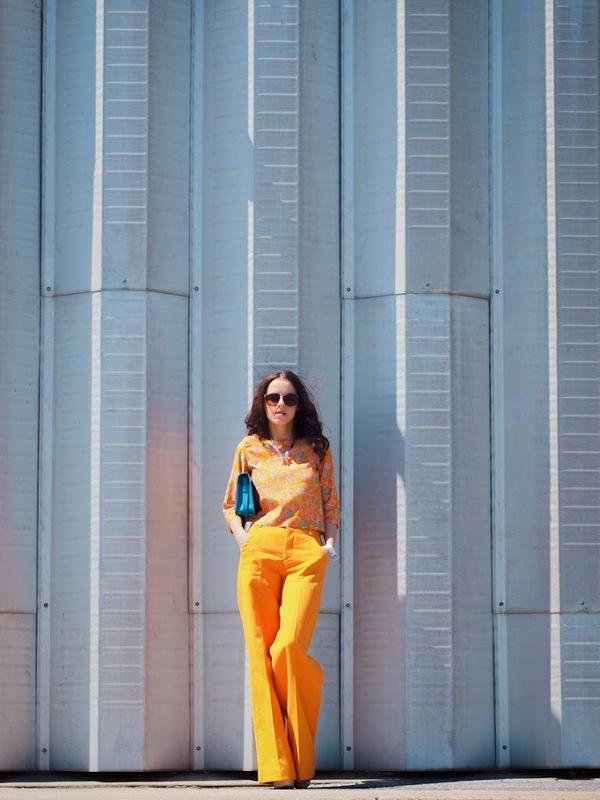 I love these wide leg pants! Your jewelry is so perfect too! incredible – i am really mad about your pants ! One of my favorite looks veronica, absolutely stunning. The legs on those pants are perfectand that top and that bracelet..gorgeous!!!!!!! wow! !Great outfit!! Just love it! love this outfit!! perfect for summer!! 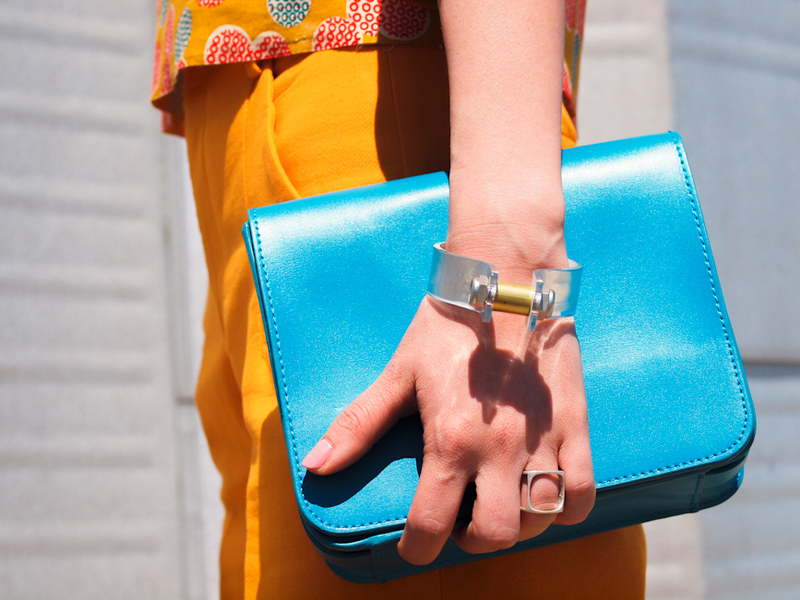 LOVE the colors – So bold & eye-catching. Such fun pictures! OMG you are so stunning!!!!!!! Love this look! So vintage inspired & wonderful colours! Have a great monday! Love this vintage inspired look! The colour combos are fabulous too! Have a great week! those pants are such stunners!! This is an exceptionally beautiful colour combination, very striking and well balanced with just the right amount of accents! You are a remarkable dresser! IN LOVE with this look! Makes me think of Jackie from That 70s Show hehe. You look amazing! Woah, talk about pants. These are definitely head-turners, and I wouldn’t have the cahones, but I love the color! Yellow, Yellow, Yellow, Yellow!!!! 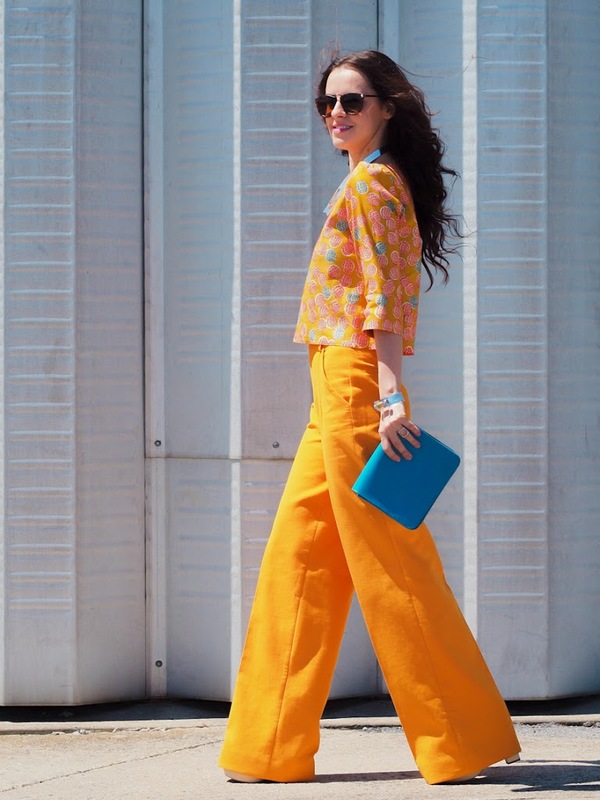 Love Yellow too….amazing oufit, love everything! The colours are perfect on you! Love the whole outfit – so pretty! Gorgeous! Love these vibrant colors!